If you have a brother then you are truly blessed. A brother is someone who is always there to protect you and support you. He is the sweetest sibling and the bond that you share with him is simply exquisite. National Brothers Day is a day dedicated to all the brothers. 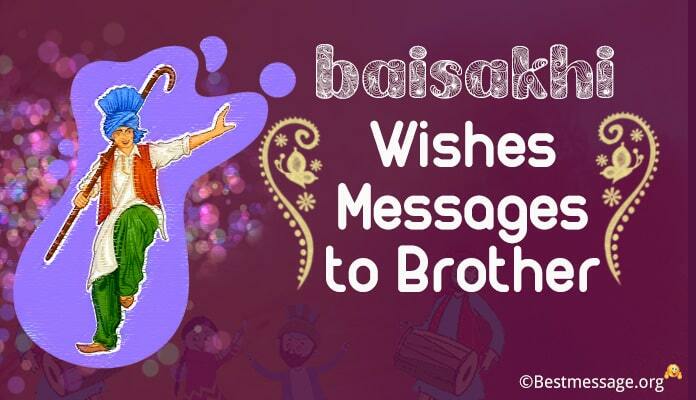 Celebrated on 24th May annually, this is a day to wish your brother and express your love and feelings to him. Take the opportunity to thank your sibling with best brother messages and wishes which beautifully conclude how important he is to you. 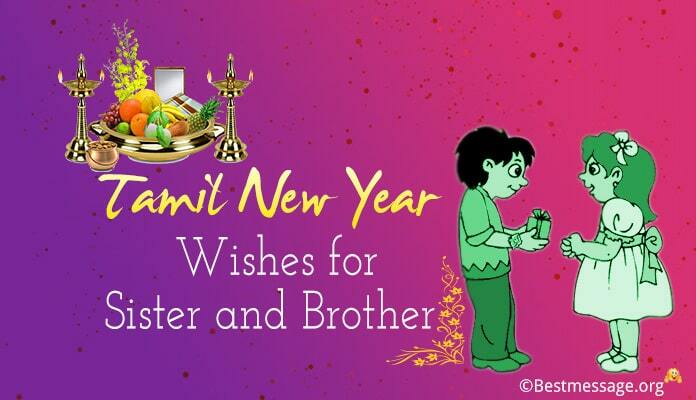 Lovely Collection of cute sibling wishes and good brother’s day messages to send your loving and caring brother. 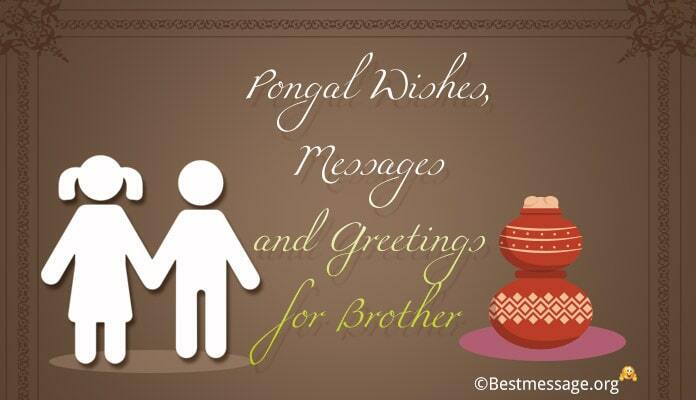 Surprise him with lovely National Brothers Day greetings in Hindi and English. 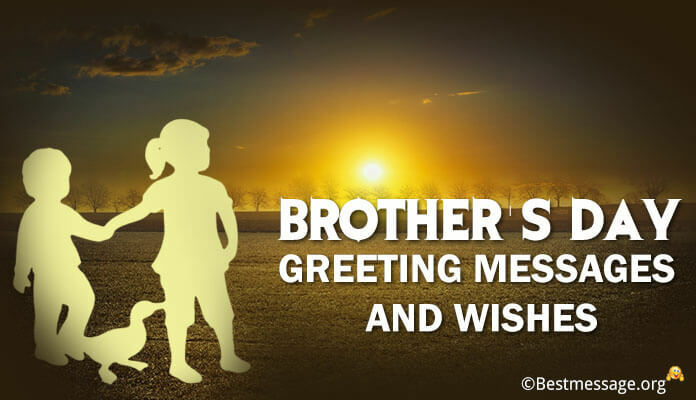 You also check out our beautiful collection of brother and sister day wishes. 1. I take pride in calling you my brother because you are not only a very caring, supportive and affectionate sibling to me but you are also an amazing human being and so fortunate to come in this world as your sister….. Happy National Brother’s Day bhai!! 2. I remember saying I HATE YOU when we were kids, I MISS YOU when we were in college and I LOVE YOU when we have come this far in this journey of life…. Thanks for all your support and love…. Sending you my love and warm wishes on Happy National Brother’s Day. 3. The best present that God has ever given me is a brother like you…. You are my best friend and my most adorable sibling…. Thanks for giving me an unforgettable childhood and a bond for life…. Wishing you a very Happy National Brother’s Day. 4. With a brother like you, I have always been carefree and fearless because I know that you always had my back….. You are my most precious relationship and I love you more than anything else in this world…. Thanks for being such an awesome brother… Happy National Brother’s Day. 5. The good thing about having a younger brother is that though he is half your size but he will still protect you and take care of you….. To my sweet little brother, I wish a very Happy National Brother’s Day for you are my friend for life and partner in crime. 6. Dear Brother, you are the reason behind all my big dreams…. I could dream big because you were there to take care of the mess I created while chasing my dreams…. No words are enough to thank you…. I will always love you….. A very Happy National Brother’s Day. 7. Bhagwan ne diya hai sabse pyara bhai mujhe…. Jisne thaama hai mera haath har muskhil ki ghadi mein…. Jisne diya hai mera saath kar kadam kar manzil paane mein…. Aise pyaar bhai ko bahut saara pyaar aur dular….. Happy National Brother’s Day. 8. Bhai aur behen ka rishta sabse khubsurat hota hai….. Ismein hai pyaar aur takrar, ruthna aur manana, satana aur hasana….. in sabhi rango se hai bana humara ye anokha sa rishta…. 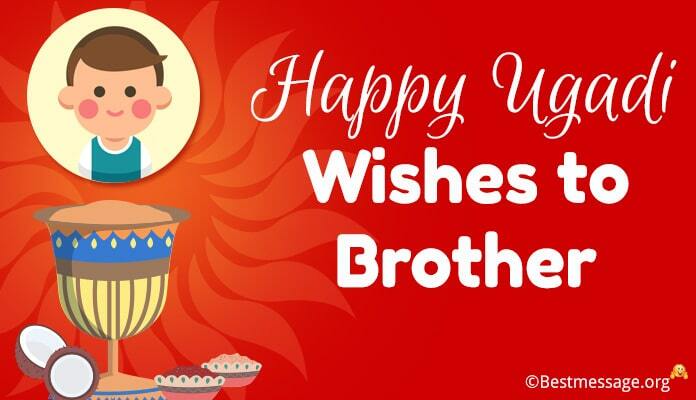 Mera bhai hai mere saath toh sab kuch hai acha….. Wishing you Happy National Brother’s Day. 9. Bhaiya tumne hamesha diya hai bahut sara laad aur pyaar….. Tumne rakhu mujhe har mushkil se door aur bhar diya mera Jeevan har khushi se….. Tumhare bina mera Jeevan hai adhura…. Tum hi ho wo dor jisse bandhi hu mein…. A very Happy National Brother’s Day. 10. Har lamha hai khushiyon se bhara khyunki mera bhai mere saath hai kadha….. Wo bachpan ke din, jab ladai aur jhagda, ruthna aur manana tha tarika jatane ka pyaar….. Aao laut chalein usi khushiyon bhare samay mein jab hum tum the har pal saath…. Happy National Brother’s Day. 11. Jiska haath thaam kar har muskhil ko kiya hai paar…… Jisne sikhaya hai Jeevan ka har taur aur tarika dekar apna pyaar…. Us bhai ke bina adhura hai mera har din har saal…. Aaj bhej rahi hoon mein usko dher saara pyaar….. Happy National Brother’s Day to you bhaiya. 12. Gudiya sa rakha mujhe, pariyon sa paala mujhe…. Aisa hai mera bhai aur aisa hai uska pyaar…. Meri hansi hai anmol uske liye, meri Khushi ke liye kar jaye wo har muskhil paar, aisa anokha hai mera bhai…. Wishing Happy National Brother’s Day to my sweetest brother. 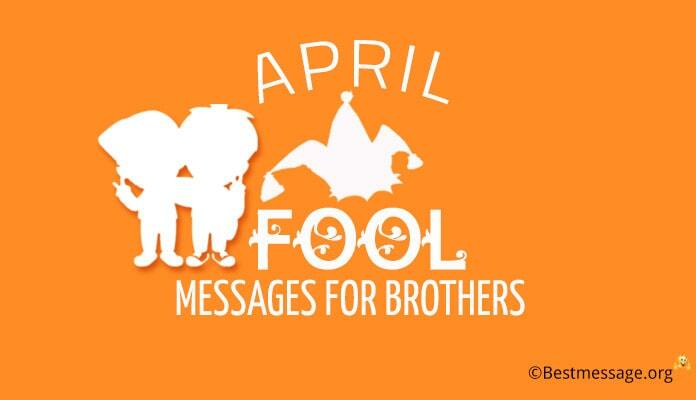 Check out our huge collection of brother and sister day messages. 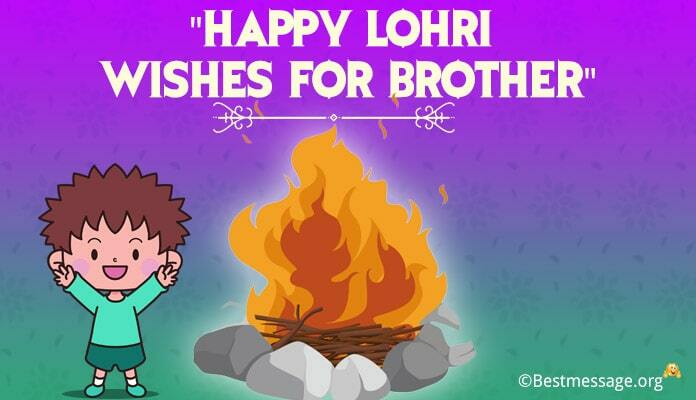 Show your love and appreciation with these cute sibling wishes.